OUR FINAL INSPECTIONS ARE IN PROGRESS. Amie believes that taste is an emotion, good food is essential, and an oven can warm a community. 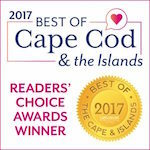 Cape Cod LIFE "Best of"
Sign up to receive news, specials, and class schedules.